Let’s be honest: There are not many free options to promote your vacation rental. And even the free ones need some investment: Your time and brain. When you find such a cheap promotion option for your vacation rental marketing, you should use it well. Using a marketing tool wrong or incomplete is like wasting your time and/or money. 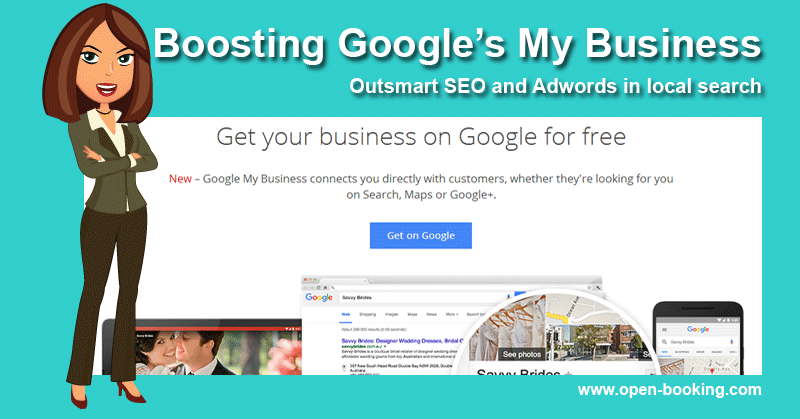 With Google’s My Business your company has a great opportunity for branding, marketing and getting customers for free. It is made for local business. A My Business account is required to be shown on so called “Local Search” as Google tries to show the most relevant data to searchers and will look at first in the given data of local business owners. Local Search presents search results that will be shown for example when using mobile devices for nearest locations. Local search drives more clicks and calls than any other marketing channel to local business, making it the most effective marketing on Google for small business. If used correctly your website will be found on Google Search, Google Maps and Google+. It helps you to build the online brand for your vacation rental business. Google love brands. I am not talking only about the big brands like Coca Cola or Mercedes. I am talking about local brands of small business. My Business is an easy and cheap way to show your local brand to Google. Having an account already makes you more relevant for search than your competitor, who has none. Google gives good advice about how to create your My Business page (see here). There are millions of “unclaimed” local small business accounts in Google. If your business is listed already, you need to claim it. There are some good guides about how to create a My Business account or how to claim it. You may check them out here or here or use the Google My Business help Centre. You’ll have to verify your business. Methods of verification can be a postcard or a phone call –“off-line”, verification methods that are not easy to claim for abuse. Unclaimed accounts have been suspects of “clever” online marketers working with such branded traffic. As owner you should better use those customers for your business instead of leaving it to other guys. Just registering or claiming an account will not give you the wanted results. In the most cases there will be lots of competitors in your area who are with Google’s My Business. To show up in “Google’s Local 3-Pack“, you’ll have to be a bit better than the most of them. You need to outsmart the competitors. Google has an “Improve your local ranking on Google” help page to give the information about the main ranking factors. Those three main ranking factors are Relevance, Distance and Prominence. It is explained, what information Google use to process those ranking factors. With claiming your account, adding the requested data as perfect as possible and having a close eye on your online reputation at all will give you the basis for ranking in “Google’s Local 3-Pack“. While details of the algorithm are confidential, google gives a set of hints, what is needed to make you ranking well. Change on 24th June 2014: Looks like the above statement is wrong soon. 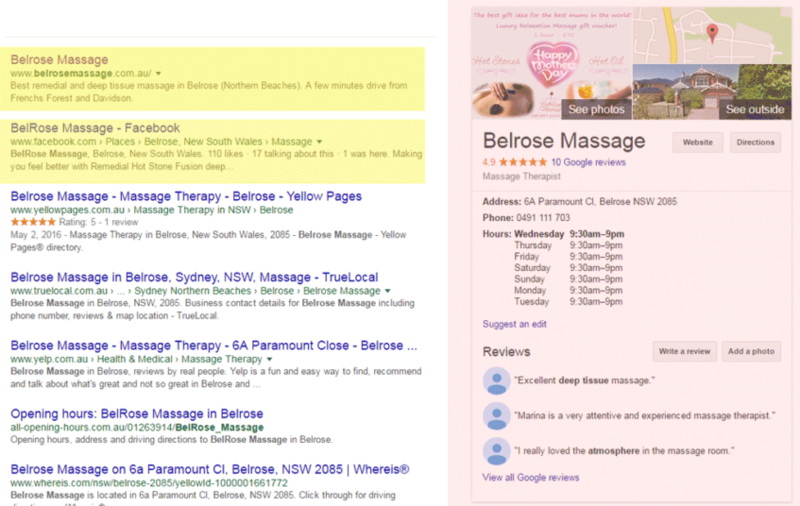 Google plans to sell one of the local “Google 3 Pack” to advertisers – see here. You cannot buy your ranks in local search. If you want to be shown in top of the local search results, you need to consider Adwords for your vacation rental. 9 Easy Peasy Steps to Create and Maintain Your My Business Account. #1 Register or claim yours my business account. Beside it is the necessary thing to appear perfect in the local search, it is the place to do something for the ranking factor “Distance”. Take care, that you synchronise the address. I mean really synchronise it: Check for “street” or “St.”. #2 Select the best matching categories. You can choose up to 10 categories from given lists (does not mean, that there are 10 categories that fits your business). Take care, that the best matching one will be the one you select as first. #3 Enter all requested data – like business hours or contact phone. Even when you think, it isn’t relevant, google values it as to be so. People might look for a late check-in in your vacation rental, so consider your times well for last-minute deals. #4 Add logo and photos. The more photos, the better. Google is suggesting topics for your photos: Identity photos, Interior photos, Exterior photos, Photos at work, Team photos and the option for additional ones. Select good photos to present yourself well and with a professional quality. Do not forget to rename the photos before uploading and to add a description – it will help google to present them also in googles image search. If you like you can even add a 360 degree view. #5 Post a thoughtful introduction. It is your chance to describe your business. This introduction will be shown on your Google+ page and with the entered topics will also be used by google to help finding your relevance for search terms. You can format the description – like a list with bullets – and you even can add links. It also will be helpful to add accepted payment methods. #6 Ask for reviews and respond to them. Amount and quality of the reviews will help google to see the “Prominence” of your business and the responds will hold your reviews actual and it shows, that you care about your customers – an often forgotten point. Reviews will improve your ranking and for sure will help real people to start working with you. #7 Post to your google+ page whenever you can. Actual posts show that you are active and caring – what is loved by google and will be rewarded by better rankings. This can also be a start for a clever social media strategy. #8 Check your data at least every few weeks, check and complete your opening hours or introduction. Or exchange photos for more actual ones. Again – actuality will help google to find you more relevant than the guys who do not do. #9 Take care for at least the basic SEO requirements for your website: Be mobile friendly, have nice titles and headlines and take care, that it is readable for google. The ranking factor “Prominence” takes your complete online reputation into account. If you need an additional kick to outsmart your competitors in Google’s Local 3-Pack, check the Webmaster Guidelines into account. Sounds like easy peasy? It is. But wonder how many people do not do this or trying to setup own rules. You’ll have the best success, if you just follow the advice and be a little bit better than your competitors. What Can Be Expected From Good Ranking in Local Search? My Business will help your guests to find you. To be found in local search will cause call-ins of people, who are interested in your services, and visits in your website and on your google+ profile. People will see you better and earlier in google maps. Even the best rank will most probably not be enough to fill your calendars with bookings – but it will increase your direct bookings, if you rank well. People will find you. They will be able to book direct. It is cost effective: If you can only find an hour or two this week and next months to do maintain your my business account, you can end up with a nice bundle of direct bookings during the year. You have experience with the results of googles my business and local search for your local business? We’re interested to know about – share your experience.